Notes: Exhibit title: Wm. H. Horstmann & Sons, Phila., Pa, Exhibit #711, Main Exhibition Building, Bldg. #1. Notes: Sewing supplies and yarn in showcases. Notes: Title on label: Woolen goods. 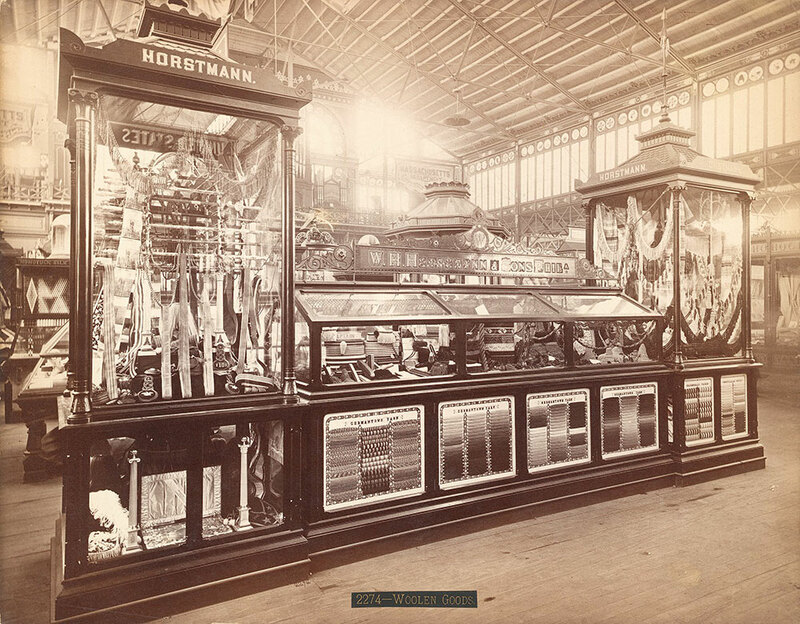 Notes: Typographical error in the Catalogue of the Centennial Photographic Co.'s View of the International Exhibition; correct spelling is: Horstmann.